El Kabeir currently sits atop the Road to the Kentucky Derby Points Standings with 75 points, but is not in action until the $1 million Wood Memorial (G1) and will drop to at least fourth in the points standings after Saturday, but is still safely in the Derby field. The Florida Derby drew a field of nine with Upstart the 8-5 morning line favorite. The Rick Violette trainee won the Holy Bull Stakes (G2) on Jan. 24 and crossed the wire first in the Fountain of Youth Stakes (G2) on Feb. 21 but was disqualified by stewards for interfering with Itsaknockout and placed second. Upstart is currently at 20-1 in early Kentucky Derby future wagering at Bodog. He will take on Itsaknockout again, who is also 20-1 in early Derby wagering. A contender for the race that is getting some buzz is the undefeated Materiality from the Todd Pletcher barn. The colt broke his maiden in his debut on Jan. 11 and then won the ungraded Islamorada Handicap on March 6.
International Star, who is currently 20-1 in early Kentucky Derby wagering at Bodog, is the headliner for the Louisiana Derby at Fair Grounds. Trained by Mike Maker, the colt has won the Lecomte (G3) and Risen Star (G2) over the Fair Grounds main track. He will take on War Story and Keen Ice, who ran second and third in the Risen Star. In addition, Mr. Z, who is 50-1 for the Run for the Roses, will seek his first stakes win in the Louisiana Derby. Trained by D. Wayne Lukas, the colt has landed in the money in seven stakes but has not managed to win any of them. 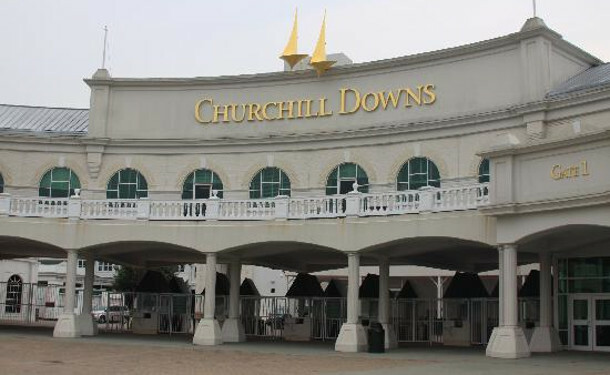 The colt has 14 Derby points and needs to pick up more in order to assure a starting spot in the gate at Churchill Downs on the first Saturday of May. The UAE Derby is led by Mubtaahij and Golden Barows who are co-favorites at 5-2 at Bodog, but despite the race being a Derby points race it has not had much of an impact on the Run for the Roses.